A rector from Hertfordshire described as "everyone's friend" has been named best-loved country cleric. The Reverend Richard Morgan, rector of Therfield and Kelshall, was chosen for the Country Life magazine award. Among the four runners-up were the Rev Tim Alban Jones, vicar of Soham, and the Rev Christine Musser, vicar of Boscastle in Cornwall. 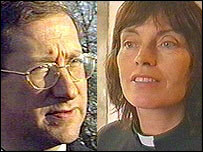 The others were the Rev Jonas Mdumulla, of Drax and Carlton, Yorkshire, and the Rev Andrew Rowe, from Posbury, Devon. The magazine said Mr Morgan had more nominations than any other cleric. One letter begged: "Please, please let him win with this competition." 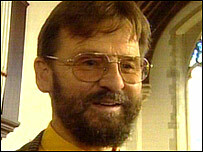 Mr Morgan, who has been rector of his Hertfordshire parishes for nearly 10 years, said he was "grateful" for the award. He said: "We try to build a community and share in the love of God as best we can. Thinking about one another and appreciating one another is part of building up a community." A nominator of Christine Musser praised her work in Boscastle after it suffered a devastating flood last year. "She must be one of the most loved vicars, not only by her parishioners, but by many people who have faced disasters and been encouraged by her positive response to the devastating flood," the nomination said. Mr Alban Jones, vicar of Soham, was nominated for the award by his diocesan bishop, Bishop of Ely Dr Anthony Russell, for his work in the aftermath of the murders of the schoolgirls Holly Wells and Jessica Chapman. Dr Russell described Mr Alban Jones as a "delightful and able priest devoted to parish ministry in its traditional form... entirely sure-footed in a desperate situation."